A Florida man was only paying for 20 minutes before his life was instantly changed. He became a millionaire after playing slots at the Cosmopolitan in Las Vegas. The man, who was only identified as Lyle, was at a Simpsons slot machine when he struck $1 million. He and his girlfriend had only been playing for 20 minutes before they won the large amount. According to the Las Vegas Review-Journal online, Lyle, who is from Orlando, managed to line up three matching rows of “Homers,” which led to a total of $1,033,339 in winnings. This story is like another story. A man celebrating his 21st birthday won more than $400,000 when he played Wheel of Fortune at the Cosmopolitan last month. So, What Causes Players to Lose? Slot machines are designed to take in more money than they give out. While slot machines are a form of entertainment, they are not games that contain various levels, characters, and points. Therefore, it’s not possible to engage or play slot machines better. With each spin, your odds are the same as the last spin. No matter how much you may win, you still have the same odds every time. It’s either you win, or you don’t. While winning at slot machines is unpredictable, there are a few things you can do to help prepare for a potential win. Some things you want to keep in mind is to pay attention to how long it’s been since a machine has struck a win. 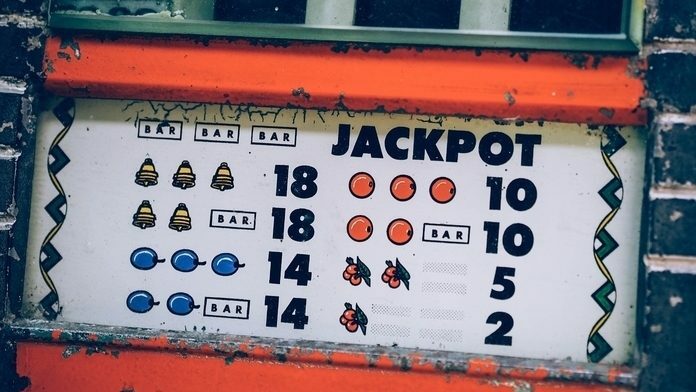 Although you may be eager to give it a shot if it’s been a while since the machine gave a payout, you can pretty much let go of all hopes of winning. Also, be sure to set a limit on how much money you are OK with losing. This is extremely important because gambling can and will take a toll on those who have no control. Last, but not least, set a limit on your winnings. As tempting as it may be to let it go and score big again, remember the odds of that happening are low. So, it’s best to just take your earnings and not risk losing them altogether since you can only end up back at square one. The amount of excitement for those who win is at an all-time high. However, for some, it’s brought down by being denied their winnings. Stories of people winning at casinos and not getting their payout is becoming more common. For example, one woman, in 2016, won $35 million at a casino. However, instead of celebrating, she found herself in a battle to receive the earnings. According to thesun.co.uk, Karina Bookman was told the slot machine she had won on, apparently malfunctioned. After seeing the amount she had won flash across the screen, she approached a representative at the casino only to be told she did not win anything at all. “I said what did I win? The casino representative said, ‘You didn’t win nothing,’” Bookman says to ABC-7. At the time, Bookman made plans to sue the casino, although signs on the machines in the casino warn of a malfunction voiding “all pays and plays.” However, Bookman still feels she should still receive the money she won. “The machine takes your money when you lose. It ought to pay it when you win.” Ultimately, the New York State Gaming Commission ruled the machine did malfunction and, therefore, her payout was voided. According to thesun.co.uk, Bookman’s attorney thinks what’s fair is fair and she deserves to be paid. “They win, and the house doesn’t want to pay out. To me that’s unfair,” Alan Ripka, Bookman’s attorney, said.